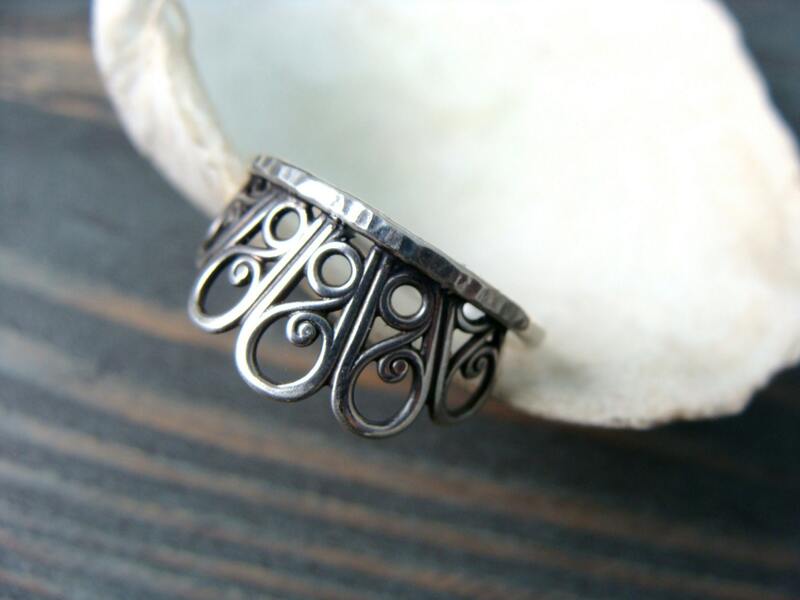 This delicate ring features a half circle with tiny swirls and bold lines. 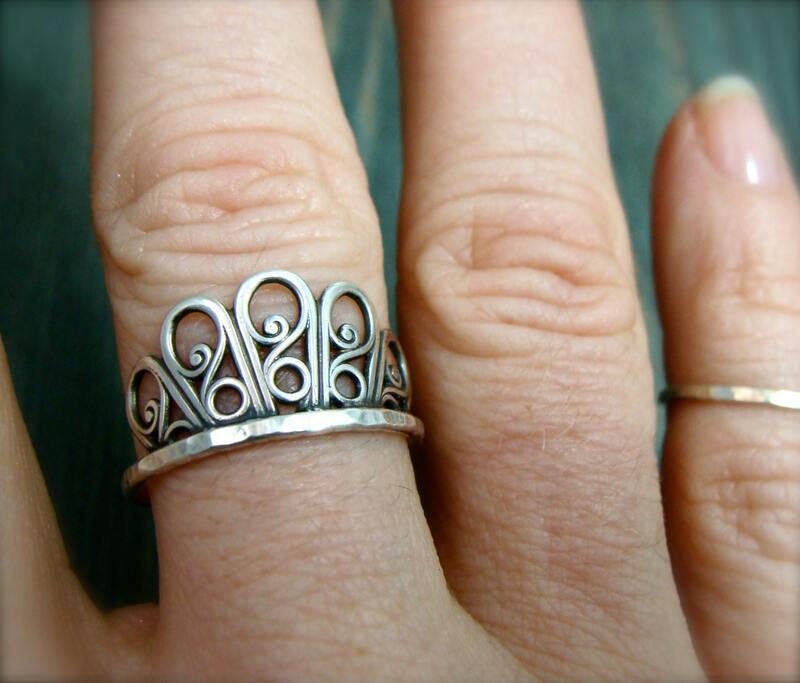 The solid silver has been rounded for a comfortable fit. 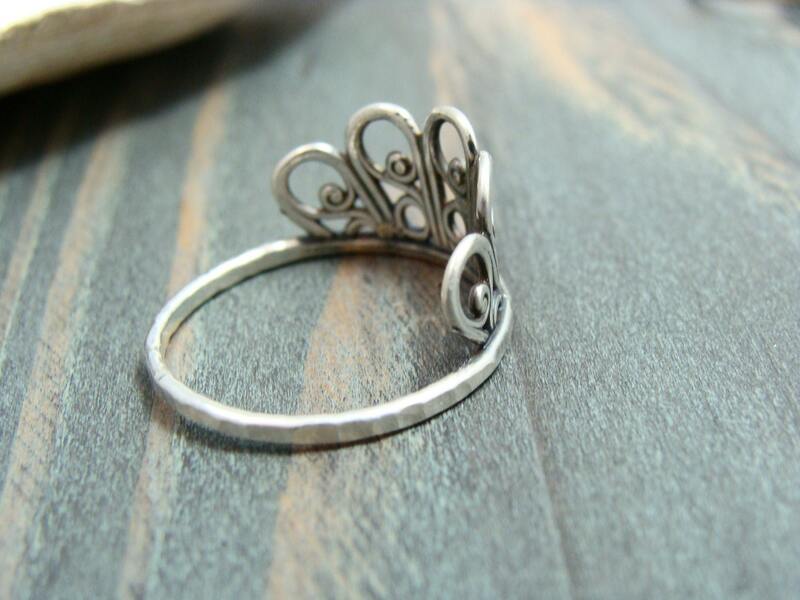 The metal has been oxidized to give it an heirloom look. 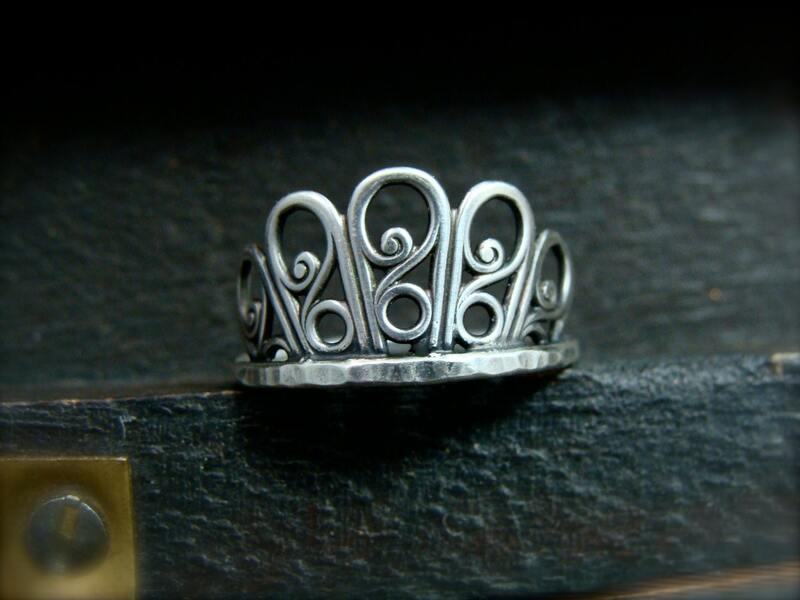 This ring is pretty alone or stacked with other rings. ☞ Please order your correct size. 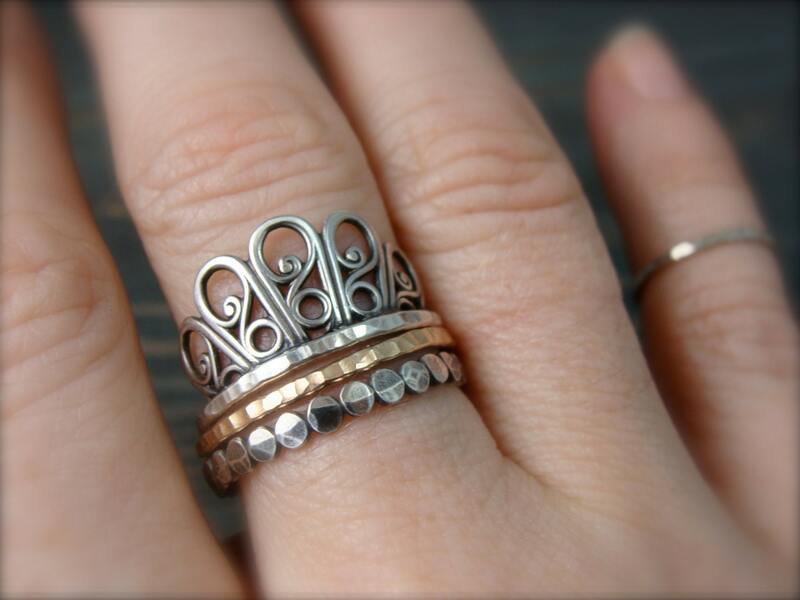 If you are unsure, I sell inexpensive ring sizers in my shop.. If you have ordered the wrong size, there will be a $30. restocking fee for size adjustment. Thanks!